Parole Board Recommends Oscar Pistorius Be Released In August : The Two-Way The state is appealing Pistorius' acquittal on murder charges, but it appears that the Olympic athlete will be out of custody when that appeal comes before the justice system. Oscar Pistorius is escorted by police officers as he leaves the high court in Pretoria, South Africa, in October 2014. Oscar Pistorius, the Olympic athlete who was sentenced to five years in prison over the death of his girlfriend, Reeva Steenkamp, is set to be released on parole in August. "Under South African law he is eligible for release under "correctional supervision" having served a sixth of his sentence. A state appeal against his acquittal on murder charges is due in November. "South African Commissioner of Correctional Services Zach Modise told the BBC that the case management committee at the Kgosi Mampuru II prison in Pretoria, where Pistorius is being held, made the recommendation last week. "The double amputee shot and killed Ms Steenkamp through a locked bathroom door at his Pretoria home, believing she was an intruder, he told his trial." Pistorius was convicted of culpable homicide, which The Guardian compares to manslaughter. The South African broadcaster eNCA reports that prosecutors are appealing that conviction. They're asking a court to convict him, instead, of murder, which carries a longer sentence. As eNCA reports, there is a possibility that Pistorius could be out on parole and then, if prosecutors are successful, he could be sent back to prison. "Pistorius, 28, was sentenced in October to five years in prison for culpable homicide in the killing of Reeva Steenkamp on Valentine's Day 2013. In South Africa, culpable homicide means a person was killed unintentionally but unlawfully. "Pistorius acknowledged firing shots through the bathroom door in his home, but said he thought there was an intruder in the bathroom rather than his girlfriend. 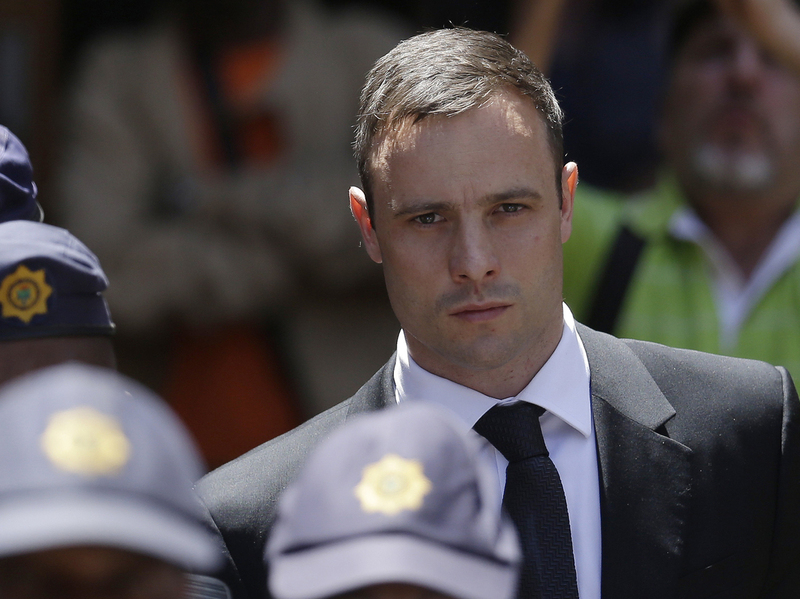 "Pistorius' fall from grace was one of the most dramatic since that of O.J. Simpson, the American football player turned sports announcer and movie star, who was charged with murder in the 1994 deaths of his ex-wife, Nicole Brown Simpson, and her friend Ronald Goldman."